A perfect game in baseball is one in which the same player pitches the entire game without allowing any player of the opposing team to reach first base by any means. At Jack Russell Stadium in Clearwater, Florida, on June 26, 1985, organist Wilbur Snapp played “Three Blind Mice” following a call by umpire Keith O’Connor. The umpire was not amused, and saw to it that Mr. Snapp was ejected from the game. Babe Ruth hit his first major-league home run on May 6, 1915. He was playing for the Boston Red Sox at the time. ‘The Sultan of Swat’ went on to smash 714 round-trippers before he retired, as a New York Yankee, in 1935. Baseball’s National League was born in 1876. Eight competing baseball teams met in New York City’s Grand Central Hotel. The first president of the new league was Morgan Gardner Bulkeley, who later became a US Senator. The eight original cities with teams were: Boston, Chicago, Cincinnati, New York, Philadelphia, St. Louis, Louisville, and Hartford. Two of the original teams are now in the American League (Boston and New York) while Louisville and Hartford are now minor-league baseball towns. Baseball’s home plate is 17 inches wide. 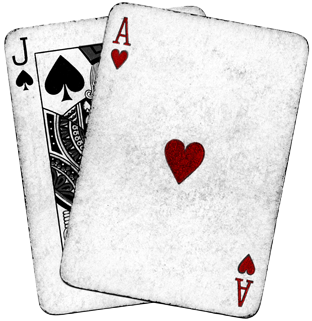 Each king in a deck of playing cards represents a great king from history: Spades = King David, Clubs = Alexander the Great, Hearts = Charlemagne, Diamonds = Julius Caesar. Eddie Arcaro, one of the greatest jockeys in horse race history, rode 250 losers before he won his first race. Ultimately, Arcaro won 4,779 races – including five Derby winners, six in the Preakness, and six in the Belmont Stakes, on such famous horses as Whirlaway, Citation, and Kelso. In 1905, 18 men died from injuries sustained on the football field. President Theodore Roosevelt stepped in and instituted safety measures to make the game safer. In 1970, 127 runners ran the NY Marathon. In 1998, 32,000 did. In poker, there is one chance in 500 of drawing a flush off the top of the deck. Parker Brothers was founded by George Swinerton Parker, 18, in 1885. The first game produced was ‘Banking,’ in which the player who amasses the most wealth is the winner. Pitcher Joe Nuxhall of the Cincinnati Reds hurled his first major-league game in 1944. Nuxhall, the youngest pitcher in major league baseball, was only 15 years, 10 months and 11 days old when he pitched that game against the St. Louis Cardinals. Poland’s Stella Walsh (Stanislawa Walasiewicz)-won the women’s 100-meter race at the 1932 Olympics in Los Angeles, becoming the first woman to break the 12-second barrier. When she was killed in 1980 as an innocent victim in a robbery attempt, an autopsy declared her to be a male. Sir Barton won the Belmont Stakes in New York in 1919, to become the first horse to capture the Triple Crown. This was the first time that the Belmont Stakes had been run as part of thoroughbred racing’s most prestigious trio of events. Sir Barton had already won the first two jewels of the Triple Crown — the Kentucky Derby in Louisville, Kentucky and the Preakness Stakes in Maryland. The ‘huddle’ in football was formed due to a deaf football player who used sign language to communicate and his team didn’t want the opposition to see the signals he used and in turn huddled around him. The distance between the pitcher’s rubber and home plate in baseball is 60 feet, 6 inches. The first cover of “Sports Illustrated,” in 1954, showed National League umpire, Augie Donatelli, behind the plate with two major-league stars: catcher Wes Westrum, and batter Eddie Matthews. The first Kentucky Derby was run at Churchill Downs in 1875 with Aristides as winner. The first NBA player to score 38,000 points was Kareem Abdul-Jabbar in 1989. The first players elected to Baseball Hall of Fame in 1936 were Ty Cobb, Babe Ruth, Honus Wagner, Christy Mathewson, and Walter Johnson. The first Wimbledon Tennis Competition took place in 1877 solely as an amateur competition. Men’s singles was the only event that took place. There were 22 competitors and the championship was won by Spencer Gore. The Four Horsemen of the Fighting Irish of Notre Dame played together for the last time in 1925, as the Irish downed Stanford in the Rose Bowl, 27-10. The Four Horsemen were Jim Crowley, Elmer Layden, Don Miller, and Harry Stuhldreher. The oiuja board was invented by Isaac and William Fuld, and was patented July 1, 1892. The Ouija board is named for the French and German words for yes – oui and ja. The Vince Lombardi Trophy is awarded to the winners of the Super Bowl. The world’s first roller coaster opened in 1884 at Coney Island, New York. It was designed by Lemarcus Thompson, a former Sunday school teacher. There are 43,252,003,274,489,856,000 different color combinations possible on a Rubik’s Cube. The World Rubik Cube championship was held in Budapest on June 5, 1982. Nineteen National Champions took part. Minh Thai, the US Champion, won by solving the Cube in of 22.95 seconds. The world record, in competitive conditions, grew progressively lower and now stands at 16.5 seconds. There are 100 tiles in a ‘Scrabble’ crossword game. There are nine rooms on a ‘Clue’ game board. A forfeited baseball game is recorded as a 9-0 score. Until 1967 it wasn’t illegal for Olympic athletes to use drugs to enhance their performance during competition. When Henry Aaron hit his 715th Home Run, breaking Babe Ruth’s record, the pitcher who served it up was Al Downing of the Los Angeles Dodgers. They were both wearing number 44. Wild Bill Hickok was killed playing poker, holding two pairs, aces and eights, which has become known as ‘Dead Man’s Hand.’ What was the kicker? Therein lies the question.